(USA TODAY). Las Vegas has always been known for being over-the-top. With the opening of the High Roller, commissioned by Caesars Entertainment, it has taken that reputation to another level. 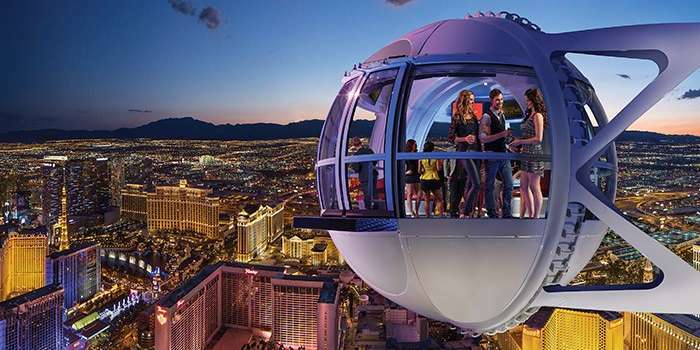 The highly anticipated High Roller, at 550 feet the highest observation wheel in the world, has dramatically changed the Vegas Skyline, competing with the likes of Paris Hotel and Casino’s Eiffel Tower replica and the Stratosphere observation deck.